Tick Tock McGlaughlin: One comeback I can take, but two? Who's next? Lazarus? I have not read the book or anything about the story this movie was based on - I might have to now since I enjoyed the movie so much. The point of my writing this is to say: if you haven't read the book, you will probably like this movie. I'm sure the book portrayed so much more, but I don't think you can directly compare movies and books. In most cases, I have never loved a movie as much as a book - but that doesn't mean the movie should be disregarded. In some cases emotion can be better portrayed on film. (please note that all my "quotes" are paraphrased from what i remember and only set aside in " " to distinguish it from my writing). That said, I completely disagree with the first reviewer above who did read the book first. 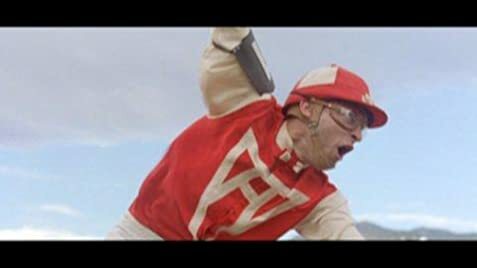 I really DID get the message about what Seabiscuit represented at that time: a second chance, rising above expectations against all odds, and most of all - HOPE. When I told someone I just saw Seabiscuit, they said, "oh, that's about the horse, right?" and I said, "no, it's really a story of hope and rising above tough circumstances - but there is a horse in it." 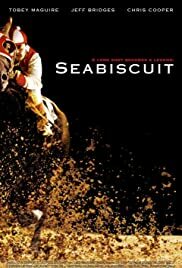 I was surprised at how much history and how many images of the depression were gracefully woven into Seabiscuit. I thought it worked very well and added to the realism of the film. I also definitely understood that Red Pollard's family was wealthy, and that they lost everything in the depression. It's pretty obvious - the whole family is shown around a great big dinner table in a very nice house; his father even buys him his own horse. Next time you see them, they are basically living out of their car with a whole bunch of other folks doing the same - a kind of depression era makeshift camp. It's also made clear later on in the movie that he never saw his family again - there are auditory flashbacks to his parents saying they will call him; how he almost dumps all his books into the water; the fact that next time we see him he's a young man and there's no mention of his family ever again in the movie. Seems like they just disappeared - and they did. Red also displays anger and frustration that is noticed by other characters. To me, this points to a sense of abandonment by his family. Also unlike the other reviewer, I DID care a lot about the race with War Admiral - in fact, i almost had to just skip to the end first because I was so nervous about it! This was NOT just a story of profit. In fact, it never seemed like that was Howard's goal at all - his goal was to prove that the underdog can and will win - to prove that heart and spirit mattered as much as (or even more than) wealth and breeding. That seemed to be the point of the match race with War Admiral. This is a story of rising above profit to reach an even greater goal. It's an uplifting story, as you can see in the crowd's faces as Howard tells them, "just because he's beaten down by a nose, doesn't mean he's out." and "When the little guy doesn't know he's the little guy, he can do great big things." You can picture the men and women, unemployed and hungry, telling themselves these same words. Things will get better; we may be down, but we're not out. In the words of Tom Smith, "You can't throw a whole life away, just because it's banged up a bit." Red's words at the end are touching as well, "seabiscuit fixed us, and in a sense we fixed each other.'" Red overcame his anger, his fear, his sense of hopelessness. So did Seabiscuit. And if they can, so can you.